More than one school in the ACC has hip Midnight Madness celebrations. Former Terp coach Gary Williams has come on the court on a mortorcycle and North Carolina’s dance routines (including Ol’ Roy) are more famous in some circles than their hoops game. That said, Syracuse, which is scheduled to join the ACC in 20? ?, decided to whup out some cool on their version of the Late Late Show with Jim Boeheim. Problem is, nobody told the Orange basketball brass that it was 2011. Hoping to emulate the other programs that use music, and occasionally a big time musical guest star, to generate more excitement, Syracuse’s decided to go old school – very old school! How about Tone Loc? 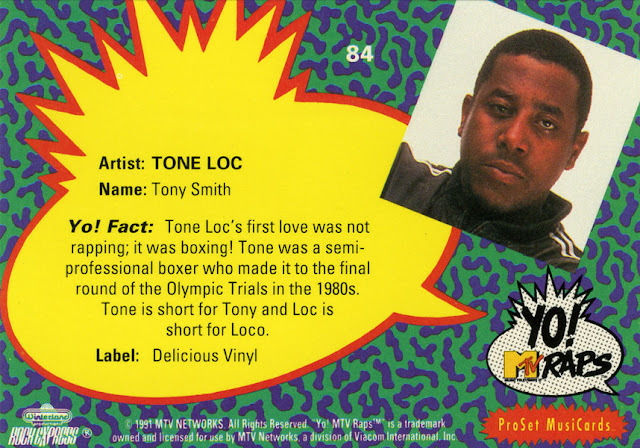 Yep, that Tone Loc, famous for hits songs like Wild Thing and Funky Cold Medina back in 1989. This is a follow-up of last year’s act – Naughty By Nature, who scored some hits back in the mid-nineties. They appear to be regressing in terms of rappage. Next year, the Orange plan to roll out an even bigger act. Rumor has that they have pre-signed monster rapper Notorious B.I.G. or Biggie Smalls as they like to call him at Syracuse. Don’t tell them he’s dead.